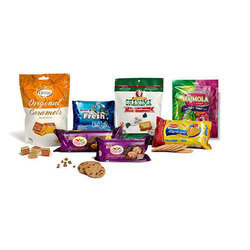 Our product range includes a wide range of biscuits packaging, frozen & seafood packaging and tea & coffee packaging pouch. We at Purity Flex pay meticulous attention to minutest details, while manufacturing our biscuits packaging material, which provides our clients maximum satisfaction. Our packaging is done in such a manner that retains the freshness and flavor of biscuits for long time. For this purpose, we use raw material of impeccable quality, which is sourced by us from reliable suppliers. It is further laminated to achieve optimum durability. Apart from this, we beautify these biscuit wrappers in contemporary and eye catching designs of alluring colors, which cast a magic spell on the mind of end users immediately. Packaging is the most important aspect for frozen and sea food industry, as this type of food is prone to perish rapidly without proper packaging. Frozen and sea food packaging is also helpful in preserving the taste, aroma, texture, freshness & nutrition values of these food products, until they are opened. 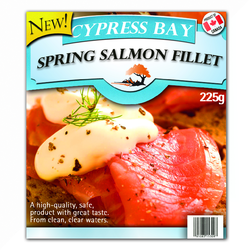 Purity Flex offers frozen food packaging and sea food packaging, which are developed from ace quality food grade packing materials and are well suitable for packing raw, semi-cooked as well as cooked food. Our quality management system manages the cold chain to provide these packaging material tolerance of minus degree temperature for avoiding the degradation of food products even in extreme conditions. These packaging increase the shelf life of various sea foods and frozen foods like seawater animals, edible seaweeds, ice cream, butter, frozen parathas, vegetables etc. The criteria to know the quality and specialty of any tea and coffee are their exclusive taste, color and aroma. Therefore preservation of these elements is prerequisite in tea and coffee industries, which can be attained by only premium standard tea and coffee packaging products. Tea and coffee packaging materials offered by Purity Flex have an excellent retention power, which helps in keeping the favor, color and aroma of tea and coffee intact and provides perfect barriers against dampness, dust particles and other contaminants. 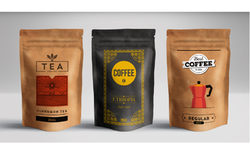 Our three side sealed tea and coffee pouches look very impressive and eye-catching owing to use of multicolored trendy patterns, which are printed by us using modern machinery. Looking for Breakfast Packaging ?